Based off of his daily emails to the student body, some students may assume that soup is the only passion of Chef Brandon Lucas, but that is not the case. In July of 2018, Brandon Lucas was hired by FoodFirst. Soon thereafter he was appointed to Cathedral Prep for the 2018-19 school year as the Executive Chef. Brandon Lucas grew up in Erie, Pennsylvania and attended Strong Vincent High School. After graduating from Strong Vincent, he attended Gannon University as a nursing student when he realized college wasn’t for him. After leaving Gannon, he entered the food industry where he became the Kitchen Manager at local Irish restaurant Molly Brannigans. 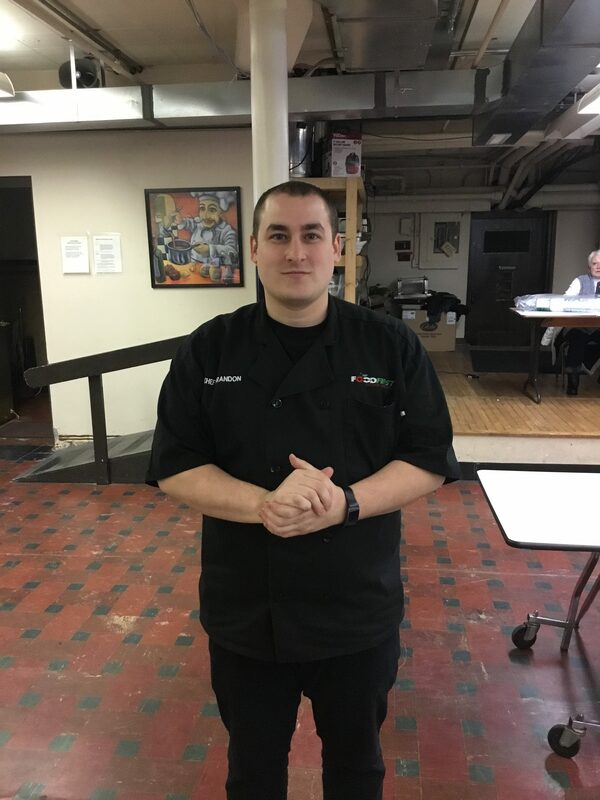 Chef Brandon has become a popular name around Cathedral Prep, as students are looking each day at their emails from their Executive Chef to see what they will be eating for lunch and what type of soup he has prepared. While he has only been at Cathedral Prep for about half of a year, Lucas really enjoys the school so far. He has met a lot of really cool students and has bonded with a lot of them and made good relationships. While he does enjoy cooking, Chef Brandon has other passions too. His favorite things to do outside of work are hanging out with his son, collecting sneakers, and playing video games. He loves going on walks with his girlfriend and son, as well as taking his son to the park. Chef Brandon has a great passion for sneakers that exceeds most. His impressive collection of shoes includes over 100 pairs of sneakers, and his favorite are his LeBron 13s. They came out on the very day that his son was born, and he bought them for himself in celebration. Along with spending time with his son and collecting sneakers, Brandon enjoys playing Red Dead Redemption 2 and following the Cleveland Cavs and Miami Dolphins. The student body greatly enjoys the presence of Chef Brandon Lucas and cannot wait to see what culinary masterpieces he has planned for the future.